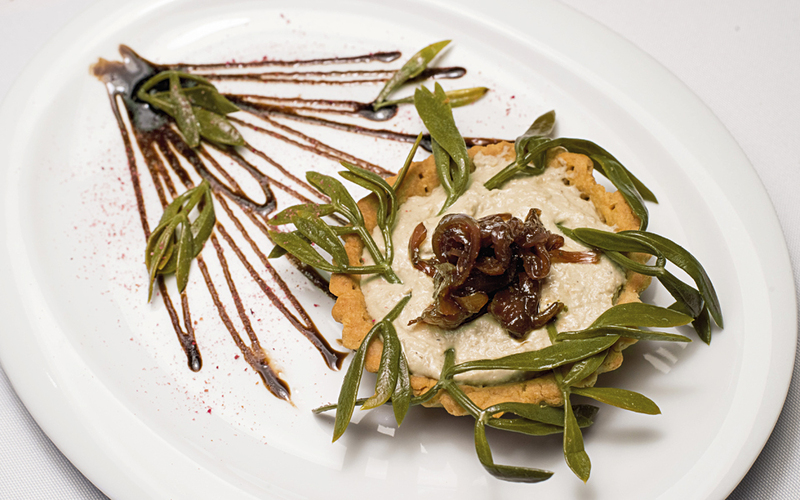 Rosebud's savory tart with caramelised onions and sea samphire, a delectable vegan appetizer. The Athens food scene has been hit by a healthy new wave, with more vegan/vegetarian restaurants and juice bars opening every day. For millennia, the Greek people have inherently acknowledged the wisdom of following a healthy and wholesome diet. Ancient teachers like Plato, Hippocrates, Plutarch and Socrates expounded on the many benefits of an ethical, medicinal and non-indulgent diet. Generation upon generation of Greeks, no matter where they lived, passed on valuable nutritive “formulas” throughout the ages like a precious, but disintegrating, baton. The famous Cretan and Mediterranean diets, too, exemplify the profound understanding the Greek people have had of the health-giving properties of food. However after suffering the worst famine in Europe during the Second World War, dietary astuteness slowly but surely was replaced by consumerist excess, brought on by the growing accessibility (and foreign fashion) of processed and packaged foods and formerly expensive products like meat (in all its forms), wheat and dairy. Alarmingly, one of the most evident repercussions of this change became evident in the 1990s, when Greek children emerged as the most obese in Europe, with adults closely following suit. Perhaps it took a dark, dingy and depressing financial crisis to make the light at the end of the dietary tunnel visible, as in recent years, a new awakening has occurred regarding the major, multifaceted and long-term benefits of healthy eating. Food professionals in the dietary sector confirm that it’s as if a newfound pragmatism has reactivated the simple memory of the ancestors regarding how food is a practical and direct way to be our best self. “Let food be thy medicine and medicine be thy food,” wrote Hippocrates. “Drink down more antibiotics, painkillers and antidepressants with a fizzy drink and eat another plate of horsemeat meatballs,” said no one. The appetizing evidence of this new approach can be found in the flourishing number of health-oriented restaurants, juice bars, cafes and grocery stores around the capital but also in other parts of the country. I visited the most well-reputed and spoke with their owners about this tasty new wave. Mama Tierra serves vegan and vegetarian dishes with a multi ethnic twist. 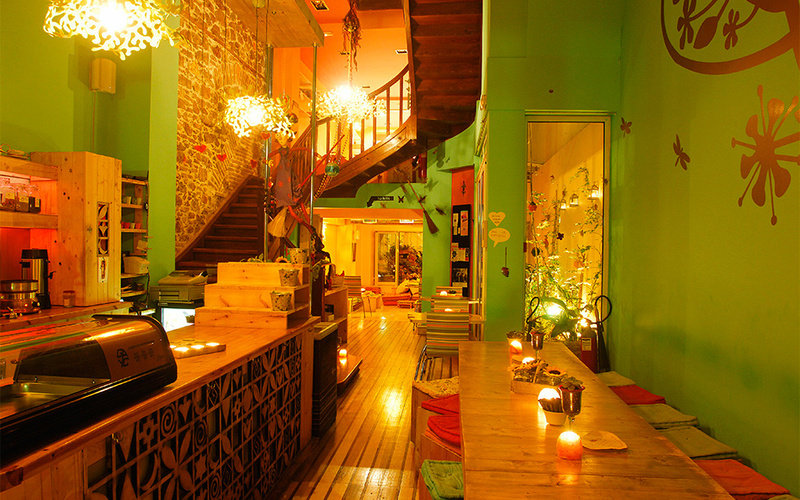 One of the first health conscious eateries to emerge in Athens was Avocado, with a range of organic soul food. The owner of Pure Bliss has traveled extensively in South East Asia, and the influence shows in the food. When I came to Greece in the early 1980s, vegetarianism was an alien concept and a good excuse to mock someone mercilessly. However, in the last decade in particular (perhaps also due to growing interest in alternative therapies and exercise like yoga) Greeks have become familiar with the vegetarian ideology and practice, and more recently the vegan diet too. That said, the Greek diet has a broad variety of vegetarian and vegan dishes, and the religiously faithful go on several vegan fasts per year, some as long as 40 days. Yet, the presence of meat, and in huge varieties, has taken center stage on the family table. 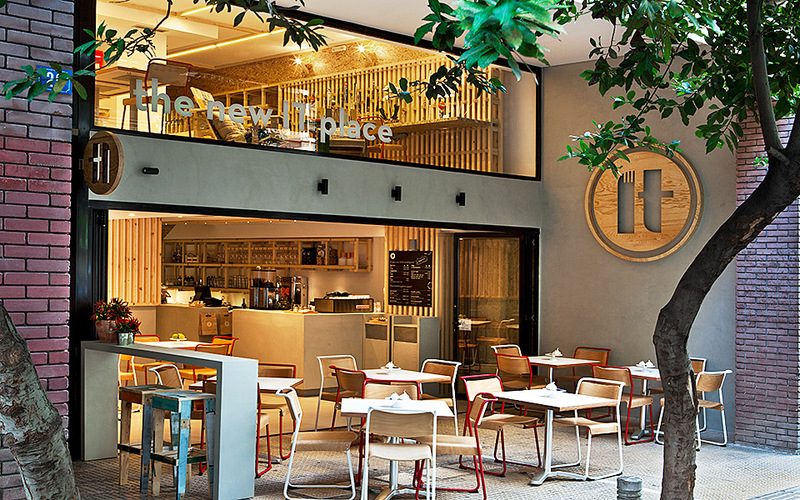 Central Athens is beginning to buzz with healthy restaurants. One of the first to emerge was Avocado, which has a relaxed, non-health-freak ambience. Amid a fresh, minimal decor, it offers an organic menu of soul food with pleasing ethnic twists (spicy Indian influences especially), as well as many delicious, nutritious, take-away options – from sandwiches to raw dishes, rich chocolate tart to juices and smoothies bursting with superfood power. Also attracting healthy foodies is the newish “earth mother” themed cuisine of Mama Tierra, which serves a broad variety of vegan and vegetarian dishes inspired by Latin America, India, the Mediterranean and Middle East, with hearty everyday foods such as (mushroom) burgers, colorful salads and soothing soups, made with ingredients sourced from small, local, organic producers. Try eggs nine ways at IT restaurant. Rosebud takes vegan cuisine to another level. The dining space at Nice N' Easy. 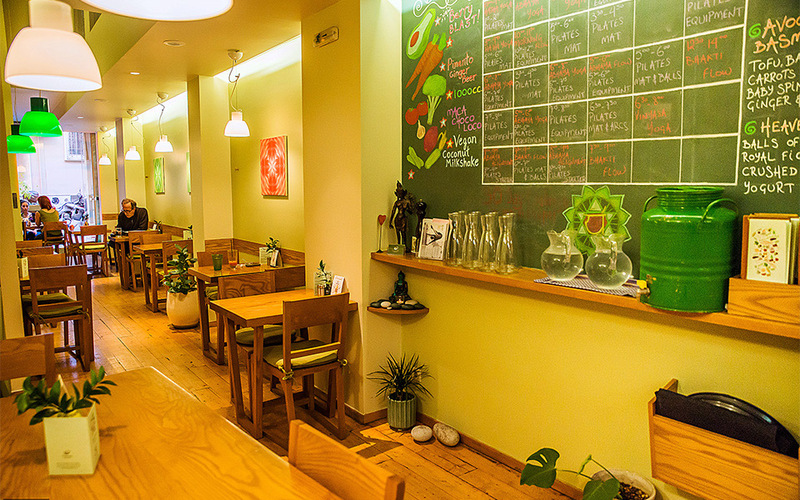 If you want to eat healthily but want your meat too, you can now find a good range of restaurants in Athens that boast of using only or mainly organic ingredients, “ethically farmed” and organically fed meat. They also include superfoods, or at least organic, local and seasonal ingredients, in most dishes. 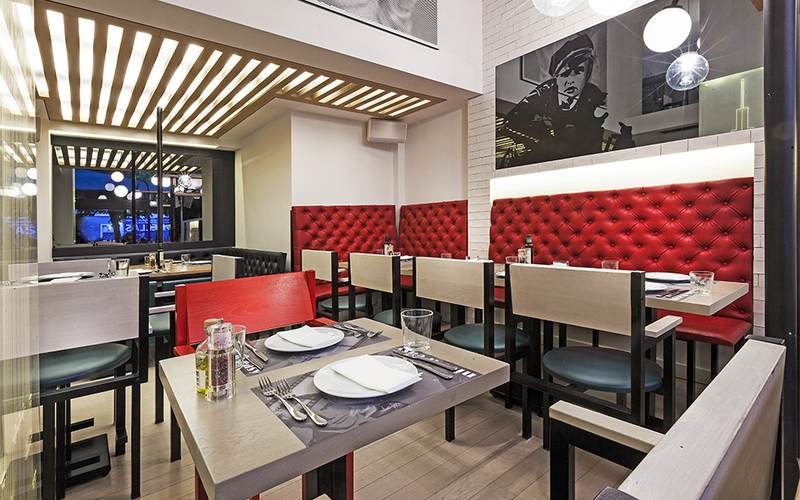 Inspired by 1950s Hollywood and with stores in Glyfada, Kifissia and Kolonaki, Nice N’ Easy prides itself on farming its own buffalo meat near Lake Kerkini in northern Greece, buying only wild or organically raised salmon, and sourcing their produce from small local farmers who grow produce using only authentic, old Greek seeds. IT Restaurant, which serves hangover remedy cocktails and eggs nine ways at its Sunday brunch, also has a menu to please the most demanding health food lover. 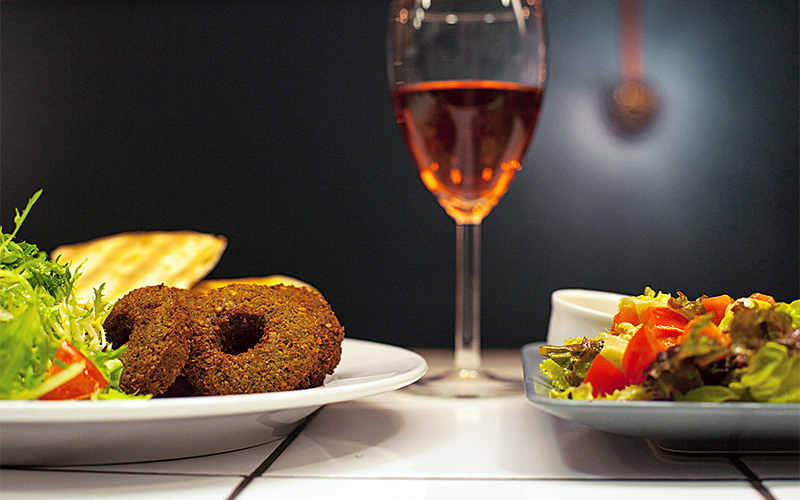 With a strong Greek influence (cheeses, honey, olive oil, pulses) and fresh salads, pasta dishes and a variety of burgers, it has created a loyal and mounting following over the last decade. 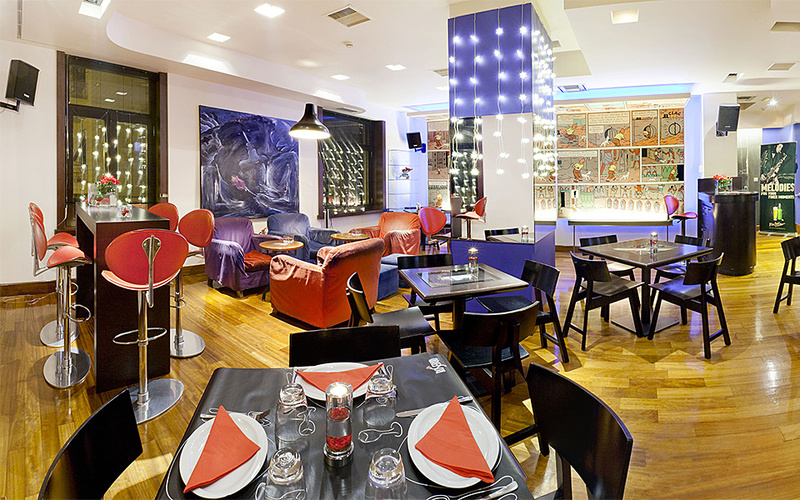 Though tiny, Kimolos offers immense gastronomic pleasures.